There's nothing like small-town living, and Scallop Shores, Maine, might just be the perfect place to hang your heart. 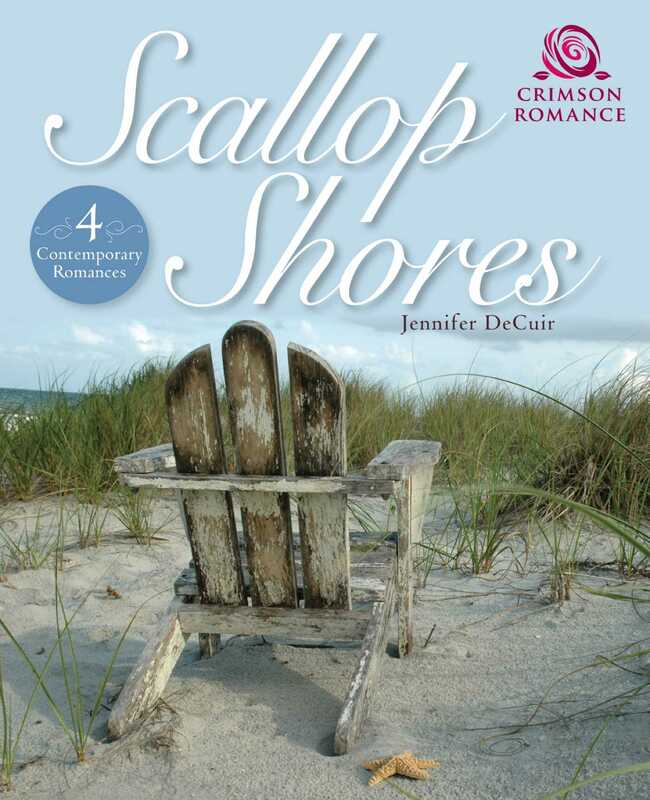 That's what four charming couples realize in this digital collection of stories centered on the idyllic coastal town filled with warm-hearted neighbors and bursting with community spirit. Five of Hearts: As lead singer for the boy band Five of Hearts, Dean learned that women only want him for his money and fame. So he has a good reason for hiding his alter ego from his neighbor, Shannon, and everyone else in Scallop Shores. But the closer he gets to Shannon and her children, the more he realizes he may have made a big mistake. Wynter's Journey: Tragedy tore Wynter and Sam apart twelve years ago, and now she's back at his doorstep, widowed, desperately broke, and very pregnant. What's a nice guy to do but offer her shelter? But living under the same roof quickly leads to old feelings resurfacing, even if Wynter is determined to leave the pain of Scallop Shores behind. Now the one person he'd wanted to forget is the one person he can't let go. Trapped in Tourist Town: Cady dreams of leaving tiny Scallop Shores for the bright lights of New York City, but she's stuck playing tour guide to travel writer Burke. When deeper feelings develop, can he convince her that everything they need is right in front of them? Always My Hero: Ryan left Scallop Shores with a full scholarship to UCLA and an NFL destiny. But a freak accident cost him both, and now he's home to take over the family hardware store--and avoid Bree Adams after fate once conspired to keep them apart. But shy librarian Bree has turned a new page, and she's determined to seize her happy ending. Will their difficult past be too much to overcome, or can she prove to Ryan once and for all that he has always been a hero in her eyes?